These days, Hoyt, with a defeated look in his eyes, would rather spend his nights in the company of a few bourbons at the Red Rose, then head home to sleep it off, which is easy enough to do. Hoyt lives alone in an apartment above the bar, haunted by the ghosts of those doomed airmen and with a view of the telephone poles standing like “drunken timber” outside his window. But Hoyt moves on. He trades that apartment in Memphis for some peace and quiet in an Airstream 20 or so miles from the town of Holly Grove in northeast Mississippi, a mason jar of Jim Beam in one hand and a book (say, Thomas Wolfe's You Can’t Go Home Again, a favorite of Hoyt’s) in the other. Hoyt’s peace and quiet, though, is about to be tested: first by a family who moves nearby, with 18-year-old daughter Jenny (not only a real looker but also an avid reader), then by a woman named Sissy, a “highstepper” Hoyt knew back in the day and a welcome presence when she cautiously accepts Hoyt’s invitation to join him in that Airstream. Jenny and Sissy aren’t the problem, however. Nor is Randy, “tough as a dime steak” but a boy sweet on Jenny. It’s Randy’s step-father, Ethan, who does more than test Hoyt’s newfound peace of mind. He shatters it. Ethan’s a 'shiner — head moonshiner in these parts — and he doesn’t take to anyone on his home turf who’s capable of challenging him, such as Hoyt the newcomer. Ethan didn’t care for his abusive preacher father either. He once traded copperheads for the harmless garden variety during a snake-handling service conducted by his father at the Church of the Holy Redemption. Those copperheads killed Ethan’s old man and sent Ethan to Parchman for 10 years. Ethan doesn’t much care for women either. He lusts after them, uses them, abuses them, and worse. And now he has his eye on Jenny, in the worst way. But Jenny has her eye on Randy. A girl named Beth has her eye on Jenny. Randy has his eye out for Ethan. And watching over all is Hoyt, who’s had his eye on Sissy since before the war, and he wants to do right by her and her mission work among Memphis’ down-and-outers. Hoyt’s a troubled but good man. Ethan’s all trouble, and he gets what’s coming to him in the fiery finish to Delta ’Shine. As with most works of fiction, Werner's novel draws on the nonfictional: in the case of Ethan, an unsavory real-life character from northeast Mississippi whom the author once knew — and whose violent behavior Werner knew of. Hoyt too, according to the author, was loosely inspired by a former serviceman who moved from Memphis to rural Mississippi, where he lived alone in a trailer and downed his share of strong drink. For the scenes in Delta ’Shine set inside Mr. Joe’s sheet metal shop, where Hoyt once worked, we have Werner’s own background to lend the scenes the ring of real life. So too, the convincing atmosphere inside the Red Rose, which is dark as a cave, smoky as hell, but a home away from home for the bar’s regulars: a handful of solitary down-and-outers. Delta ’Shine is available at the Booksellers at Laurelwood and Burke’s Book Store, in addition to Amazon and Barnes & Noble, where it also comes in ebook formats. Joe Werner will be reading from and signing Delta ’Shine at The Booksellers at Laurelwood on Sunday, June 14th, from 2 to 4 p.m. For more information or to reserve a signed copy, call the store at 901-683-9801. 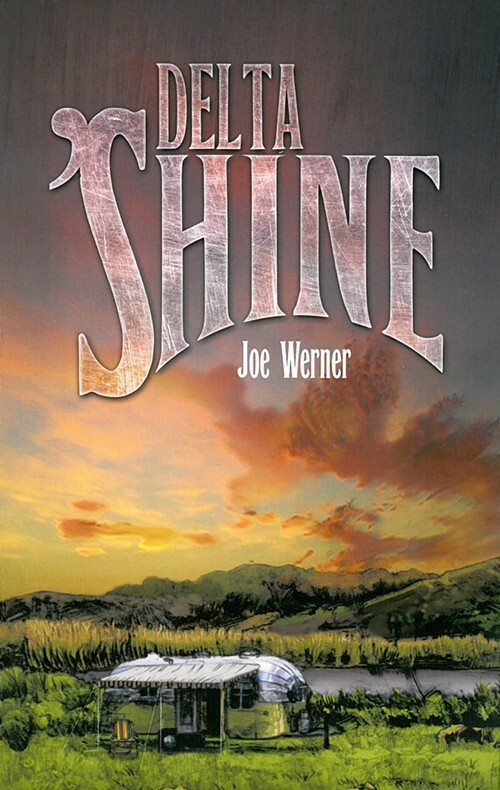 To find out more about the author, visit his website, joewerner.com.